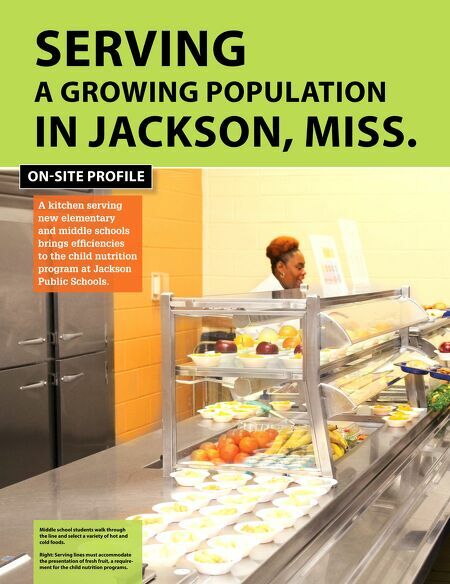 46 • FOODSERVICE EQUIPMENT & SUPPLIES • OCTOBER 2014 SERVING A GROWING POPULATION IN JACKSON, MISS. 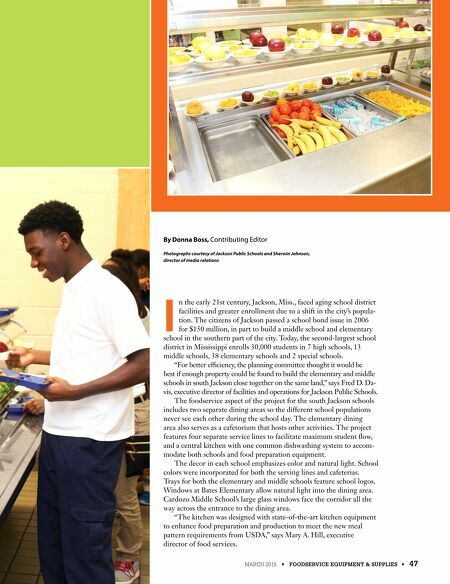 ON-SITE PROFILE A kitchen serving new elementary and middle schools brings effciencies to the child nutrition program at Jackson Public Schools. Middle school students walk through the line and select a variety of hot and cold foods. Right: Serving lines must accommodate the presentation of fresh fruit, a require- ment for the child nutrition programs.